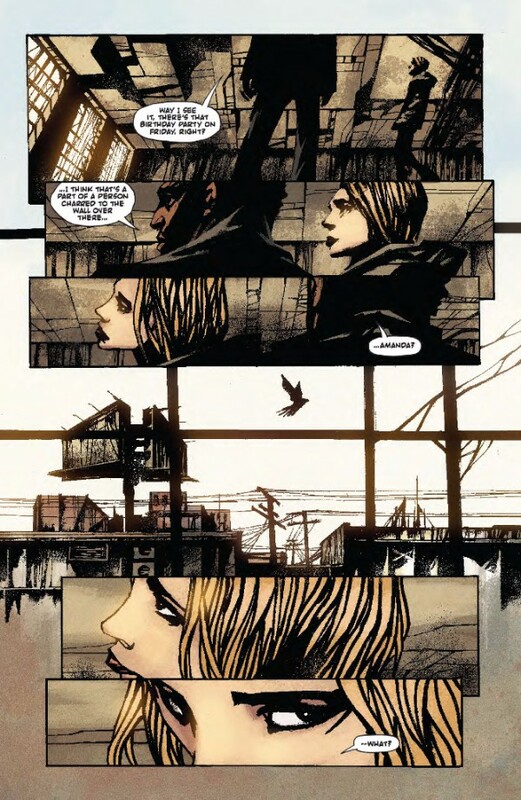 Days of Hate has been one of my favorites of the titles I get to review/read. The artwork continual stands out with it’s brooding darks and the emotions that are precise for each character in their world. This is issue catches us up with Huian and her government caller. It’s an interesting interrogation that appears to really not be such. This issue does this to put forth our own potential prejudices and questions about how we are with one another. It shows us that things aren’t always sunny in every relationship…particularly concerning a mother’s dislike for their daughter’s wife. It comes do to Huian doing the right thing by the situation or what we might call the wrong thing. The ending potential gives the other characters more of a reason to be chased instead of being on the run. Kot wants us to believe that bad guy be something different in this story. Things should heat up for the next issue. Maybe we will see how harsh this government and new world order can be.